These white flowers were spotted alongside the road in northern Okinawa. Brugmansia suaveolens or, Angel Trumpets grow on a plant that could be called, a small tree. Originally from South America, they can be seen blooming around here in September. Over at Dave's Garden, you can see who grows them and, where. People talk about what success or, failures they experienced growing them. Some folks will even trade or, sell the seeds and plants. 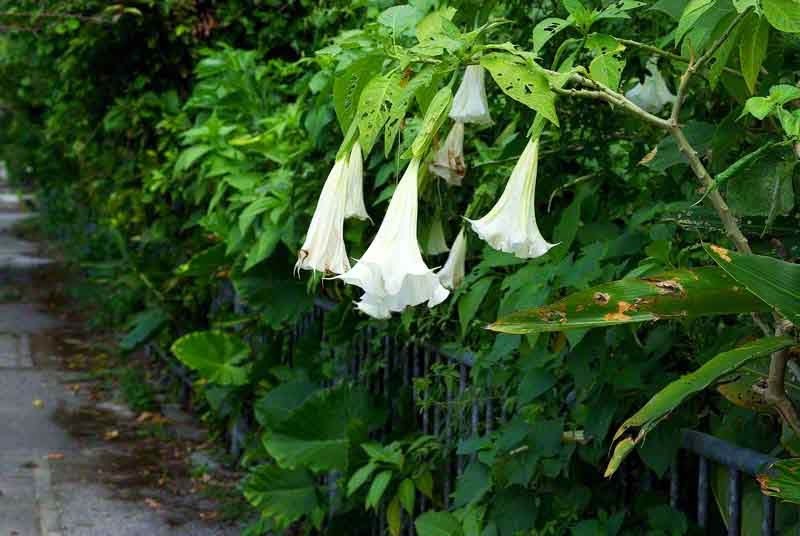 "All parts of this and other angel trumpets are narcotic and poisonous. 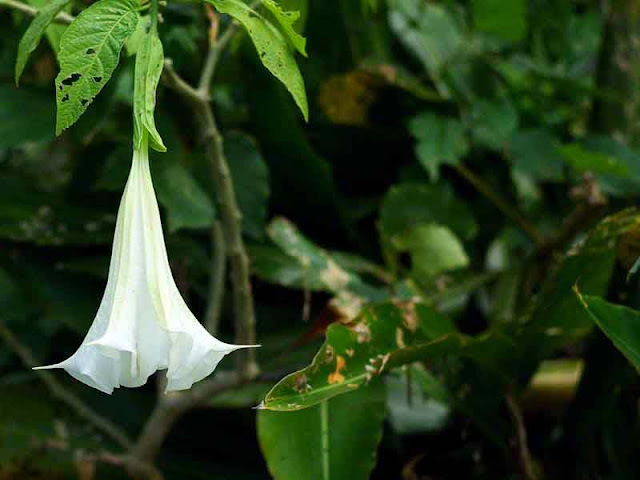 Some people have ingested or smoked angel trumpet for its narcotic effects, and some of those people are no longer with us. The use of angel trumpet as a landscape plant is banned in some municipalities." The plants were "Tried and True Recommended by 2 professionals." But, I think they should have stipulated that they were professional gardeners. Because, some crackpots over on the Drugs Forum are crazy enough to smoke the stuff !